The view back at the Wapenamanda Airport—hanging on the hillside! So I (John) just got back from a trip to Enga Province this last week. It was about an hour west (by plane) from where we are in the Eastern Highlands Province. Marty Driggers (Youth Director), Tony Romito (Bible teacher), and I (Builder) went to do some reconnaissance for the high school mission trip that will happen early next year. Our first stop was Wabag where we stayed with the Boyd family who are a translation team. Our second stop was Kompiam where the Mills family operates a hospital and school. I thought you might enjoy some pictures and stories from the trip and these should also give you some ideas as to how to pray for what God's doing here in PNG. Enjoy! 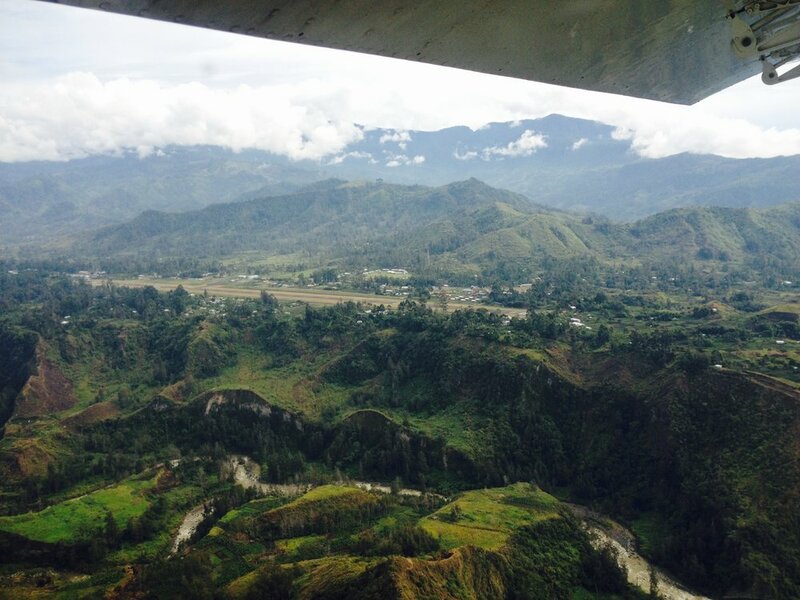 Enga Province is home to the Enga language group which is reportedly the largest in PNG. We regularly heard people speaking Enga and nothing else, which is rare in this land of 800+ languages. This was conveniently placed outside of the entrance to the airport. I'm still not clear as to whether you are supposed to fire one shot or empty your whole magazine before entering the airport. This is Adam Boyd next to Manius, his lead co-translator, and the rest of their translation team. 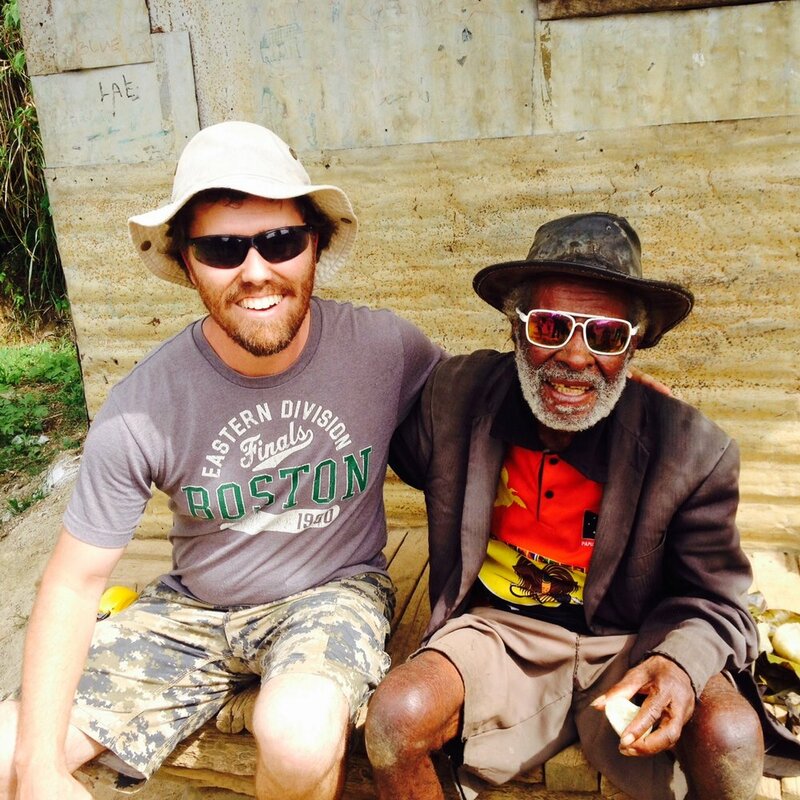 Our first stop was at the Boyds' village near Wabag, a relatively large city for PNG. If my memory serves true, they were working through a passage in 1 Corinthians when we stopped by to see Adam's team and work space. We hiked around looking for possible projects that the high school kids could tackle inside a week. No, I did not stage this photo. Yes, Essi just happened to be wearing this sweatshirt on the other side of the world. Everyone that we met was eager to meet us and sit down with us to talk for a bit. I tried to learn as much of the Enga language as I could in a few days, and people always seemed pleasantly surprised and happy to teach me as much as I could handle. Adam's son explores inside a house that their pastor is building; Tony peeks in. Looking for work at church... There are plenty of options! Possibly the world's deepest pothole. Same pothole, different perspective—this is why you should watch your step! This may look like a creek to you, but it looks like a possible bathtub to us! Yes, we have to consider ALL the details. Individual graves like this one are common sights along the roadside. Some traditional beliefs include ancestors' spirits coming back and causing trouble if they aren't happy, so building them a nice home makes good sense. This is a great example of an Enga style house. I haven't seen this shape anywhere else in Papua New Guinea, but they are quite common here. The road to Kompiam: just another opportunity to trust the Lord. The master plan and designs for the hospital buildings were all donated by architects that spent untold hours. The non-traditional building shapes were made to create natural light and ventilation without power. Solar panels and generators make the only power and it is precious. This next wing of the hospital will house an operating room(s? ), morgue, and solar batteries to mention a few. Dr. David Mills checks on some of his patients as he shows us around. Dr. Mills tries to teach our untrained eyes about what he is seeing in this x-ray. I still don't see it. This map shows where the Kompiam Hospital resides in Enga Province. The roads and networks at the bottom of the map indicate the development there. The mostly green area above and around Kompiam tell a story of no roads, just jungle: People isolated by jungle that need medical service and need to hear God's Word. It's hard to put into words all that we saw at Kompiam. 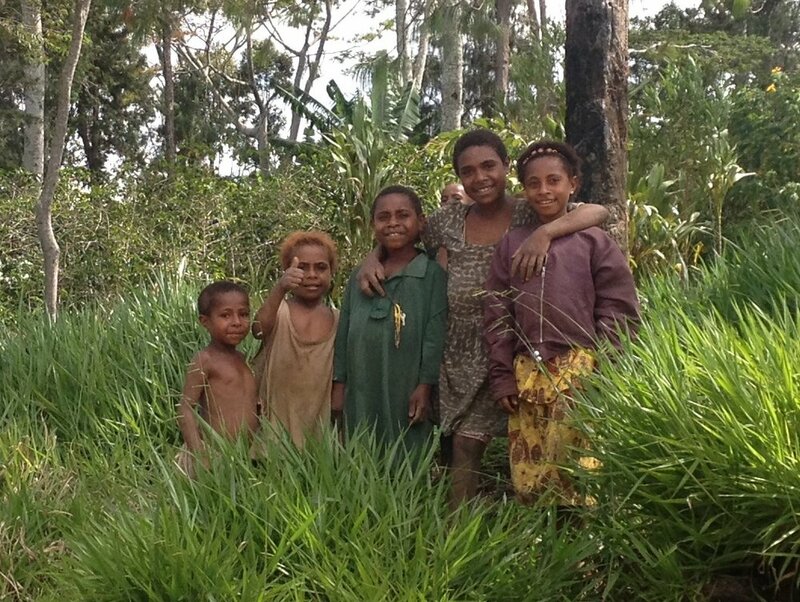 Dr. David Mills and his family have worked among the Papua New Guineans there for more than 18 years. They run the hospital, school, and radio station among many other things, and support numerous clinics scattered throughout the nearby jungle. Many of those clinics are only accessible by foot. We hiked about an hour out from the hospital to have this beautiful view looking back at the airstrip. You can't really see the hospital from here, but it's around the backside of the airstrip. Apparently, I stop and "smell the roses" too much. I was always the straggler on hikes because I was taking pictures, and Kristi made fun of me (in a nice way, of course!) for all the valleys, mountains, trees, flowers, moths, etc. that were included in my slide show night when I got back. This small sampling has been seriously edited down for your enjoyment. Not only do I smell roses, but I'm always on the lookout for new orchids (which grow like weeds here). Marty and I are just glad that we caught a ride in the back of the truck and didn't have to walk. 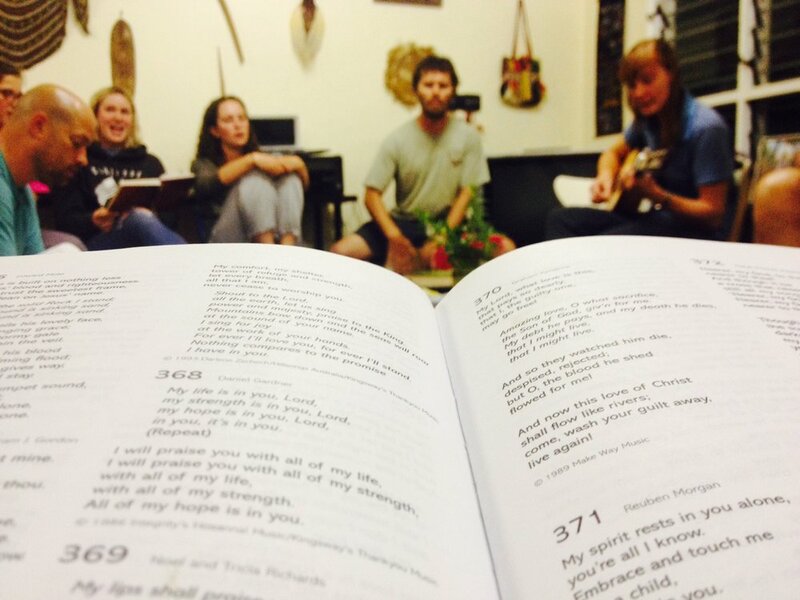 We were continually blessed by the many times of fellowship and worship. Dr. Mills leads the Sunday school class and is helped out by his son and daughter. I'm easily distracted by all the little cuties. All the kids wanted to see pictures of my kids, and then of course they wanted to see pictures of themselves. I took this picture as a reminder for myself to pray for Kompiam and all that God is doing there. This building struck a particular chord with me because it's their construction and maintenance department and there is nobody to run it; Dr. Mills has somehow managed to do most of the work himself! I hope that God can use me to help them out to some extent as time and circumstances allow. And yes, those are four shipping containers that have been turned into a building. You have to get creative with what you have available around here! The upstairs containers and common space between them are being renovated to house single nurses. I was particularly interested to here the stories around the construction of this school building. The all metal building is essentially a "kit house" that was trucked up from Lae and screwed together here. Even though timber abounds here, steel construction can be lighter (and more compact) to transport, can last much longer in this tropical climate, and may need less power to construct (no cutting or planing wood). Like smiles and jump ropes. From the school stairway, looking back toward the hospital, with the PNG flag blowing. The school at Kompiam serves the children of hospital staff including the Mills' own children. It's currently grades K-10, but could go up to grade 12. Please pray for Mrs. Mills and her leadership of the school, for teachers for the school, and for the students who hear God's Word every day. The morning that we were leaving, we had the privilege of being interviewed on the radio by Kairu. He graduated from the Ukarumpa International School (that's our school, y'all) back in 2016, and is now the station manager (and artist extraordinaire! yeah, that's his work) at the radio station in Kompiam. The station broadcasts throughout the area and offers Christian music and programs as well as health information and news. Please continue to pray for this upcoming mission trip (probably March 2018). Pray for wisdom and strength for Marty and Sara Driggers as they bear the bulk of the preparations. Pray that God will direct the students and provide for them to go. Pray for safety as we will travel and do many construction related tasks. Pray for peace in these areas to which we will travel. 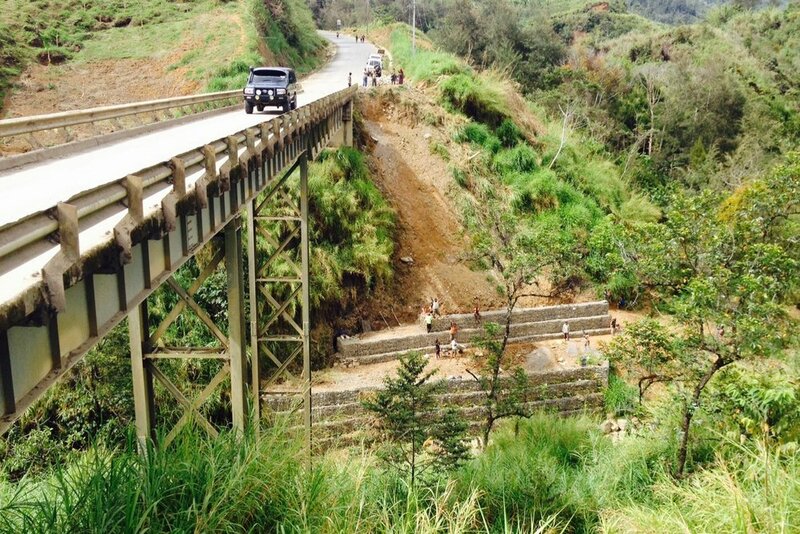 Pray for the Boyd family and the Mills family and their ministries in these areas in Enga Province. Thanks for praying for all this and more!